“Ron Hipp and Carol Statella have crafted a musically delightful, emotionally involving work with Two Hearts … it deserves a spot on your CD shelf.”~ Sing Out! Magazine A duo with a warm, evocative approach to folk music. Ron's debut album (w/Carol) Two Hearts received glowing reviews, notably in Sing Out! Magazine, aired on radio programs internationally, and charted on the Roots Music Report. Ron and Carol have known each other and crossed paths musically for a decade and a half, through many artistic and personal evolutions. Their sound together has been described as eloquent and vivid. 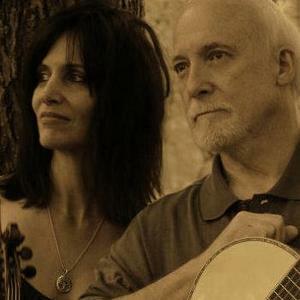 Onstage, Ron and Carol draw audiences in with artful musicality, occasionally inane humor, and absolute focus on inviting the listener into the depths of a song.